A modern update to a classic form, our Oldage Barn Lights are arranged with a wide shade perfect lighting up indoor and outdoor spaces in a rich array of LED light. 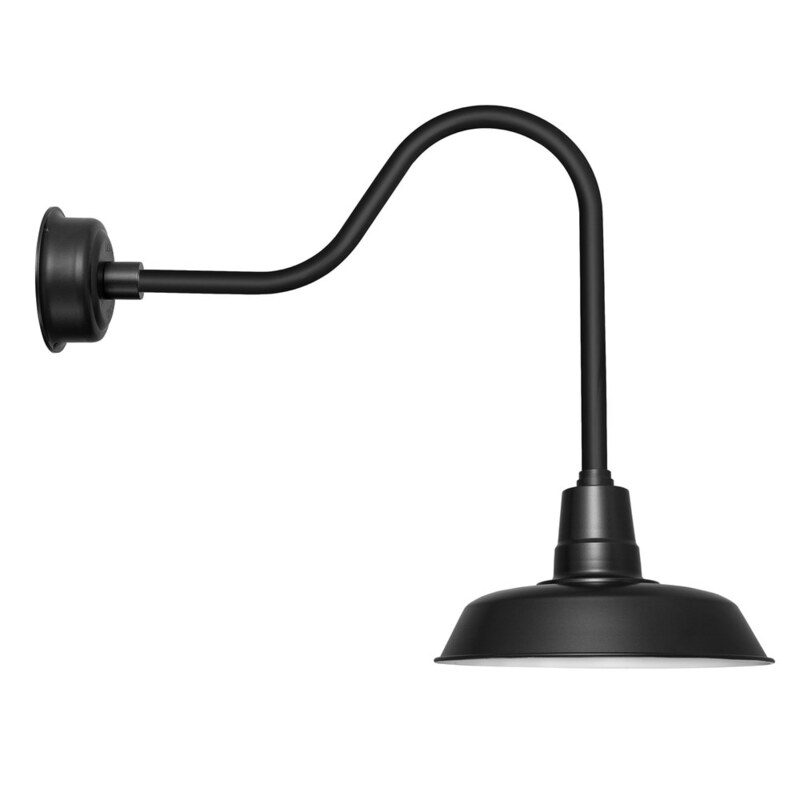 This modern shade style makes the Oldage perfect for illuminating both kitchens and backyards, and with finishes available in enamel black, mahogany bronze, vintage green, cobalt blue, solid copper, solid brass and galvanized silver, this barn light is made for homes of a more contemporary style that still enjoy the aesthetic of vintage lighting. Integrated with Cocoweb’s proprietary LED lighting array, the Oldage is absolute latest in home lighting technology: its LEDs shine at a warm 2700K color temperature and 1600 lumens, a warm, natural light that’s 80% more energy efficient than a comparable 100 Watt incandescent bulb. In fact, Cocoweb LED bulbs are rated to last up to 50,000 hours—literally years longer than the average fluorescent or incandescent bulb. For that classic barn light style mixed with the latest in lighting technology, you can’t go wrong with the Oldage barn light! More Color Variations Available at Cocoweb!